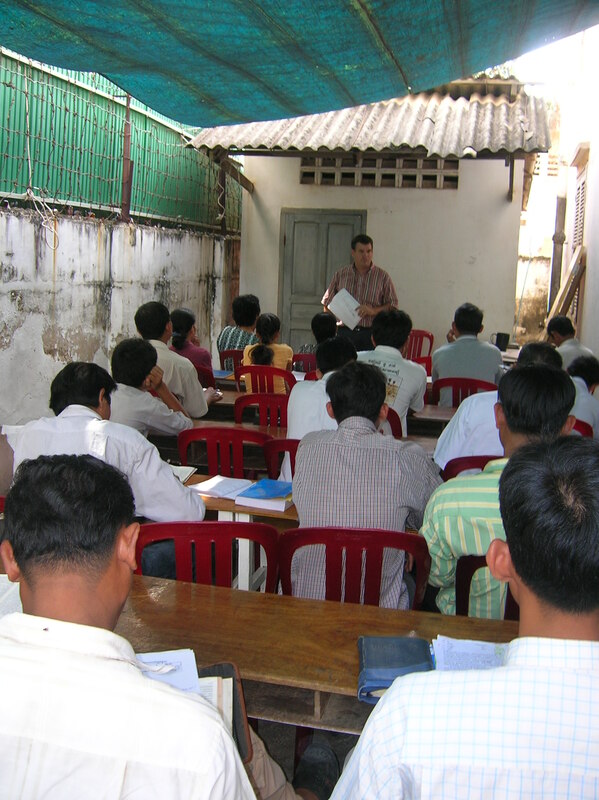 God has given Rodney the opportunity to teach Bible institute every Wednesday afternoon to some great Cambodian people since 1999. We started the institute by teaching Sunday School level courses. They have progressed significantly since that time. Most all of the men are preparing their own sermons on a weekly basis and doing a better job than we could have imagined when we first started. God truly has been good! To the right of this page, you will notice some resources for the institute that Rodney has developed. Click on one to get a summary of the course and see a link to a pdf version of the course. Courses were developed for Khmer speakers using the Khmer Bible, so if you use the English version with your King James Bible, you should keep that in mind. Didn jnow you had this till last night. Such an enlightening page. Thanks for having this. Would have read before had I known. So very good to see you here Rodney. I know mrs swain is looking forward to coming there in a couple weeks. Thrilled to know we can keep in touch this way! Praying for you all and your ministry! !